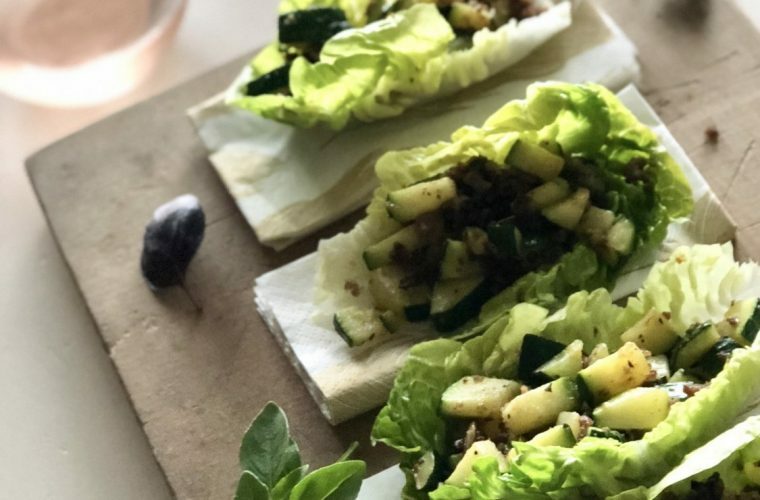 We were fortunate to be able to welcome Instagrammer Sophie (@sistersjunction) to Cotignac and thoroughly enjoyed sharing our passion of cooking and the good life. 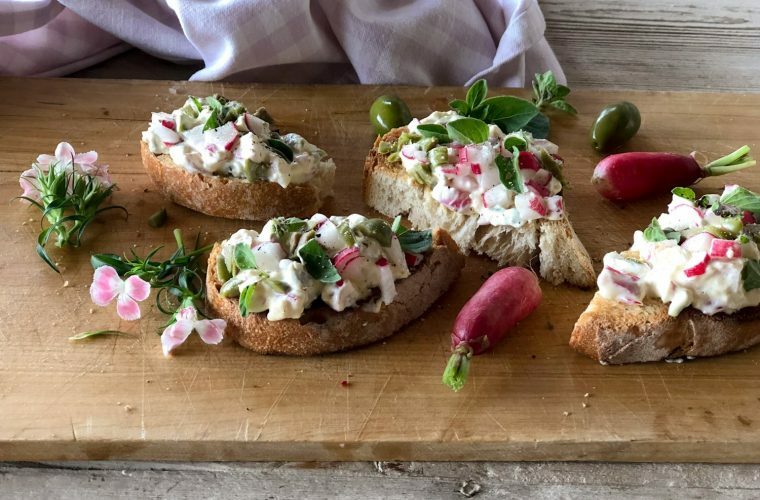 Hope you enjoy these quick-and-easy delicious starters that we rustled up together – they pair excellently with our rosé and serve 3. 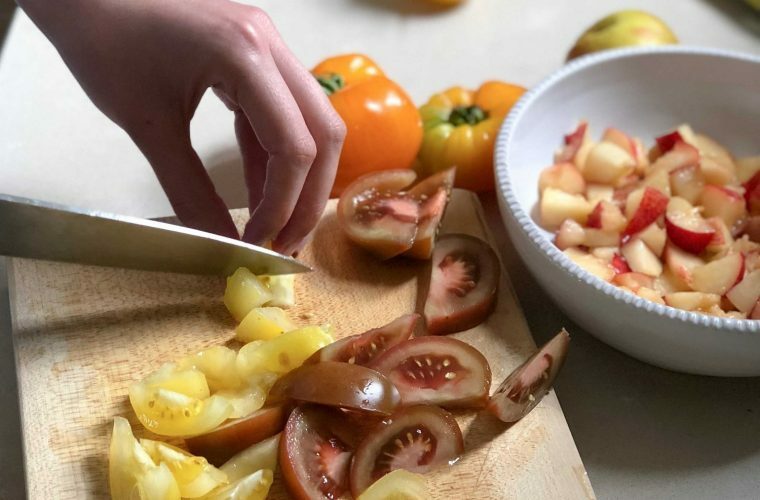 Toss tomatoes, nectarines, mozzarella, basil, salt and pepper in a large bowl. Serve in small bowls and decorate with fresh basil leaves and edible flowers. 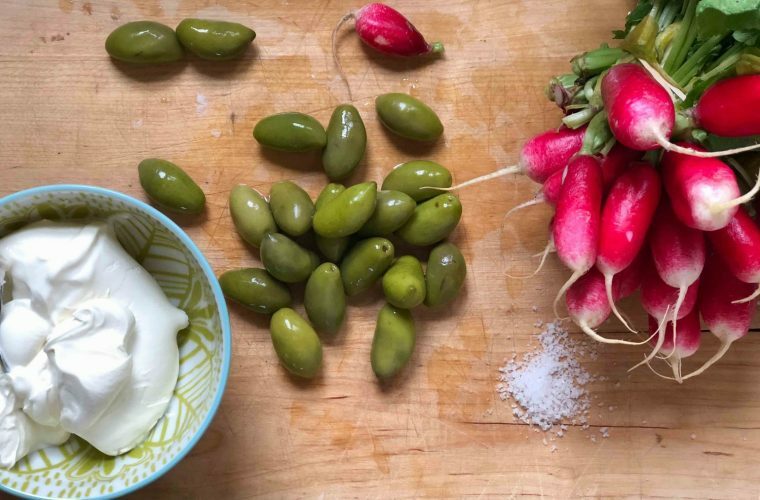 Chop the radishes and green olives in tiny cubes. Add to a bowl and spoon in 1/2 a tub of Mascarpon e and some Mayonnaise. Squeeze in some lemon juice and season to taste. Toast small slices of sourdough bread and spoon on a thick layer of the mixture. Decorate with some freshly chopped parsley and serve immedately. Fry off the meat in a hot pan with some olive oil. Add the courgettes and fry for another couple of minutes. Season to taste and add some thyme leaves. Wash the little gem lettuce leaves and pat to dry. Add some mixture of the meat and courgette mixture to each leaf. 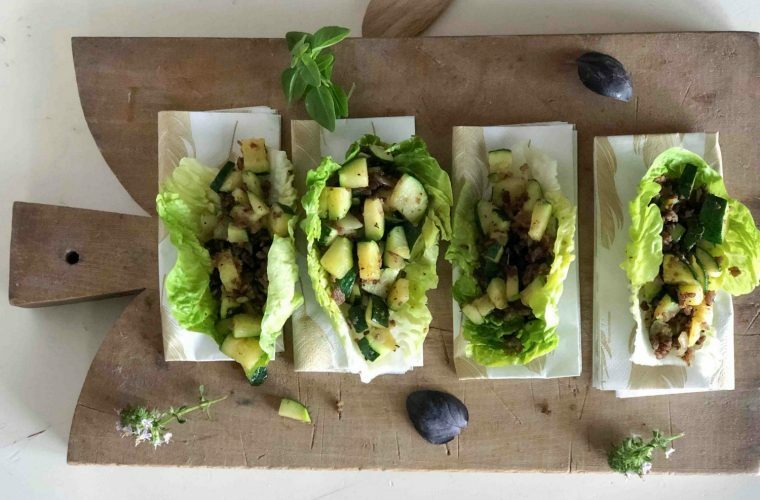 Decorate the leaves on a wooden board or rustic plate.